Hollywood has never been a willing ally to gun owners. For decades, activist writers, directors and actors have used the creative vehicle of fiction to attack traditional values, including the individual right to keep and bear arms. 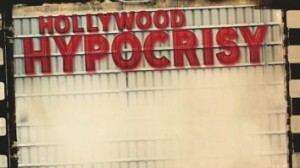 In addition to banking eye-popping salaries each year, the venerated storytellers of Tinsel Town amass a wealth of fans, followers and supporters to whom they pander a radical and hypocritical anti-gun agenda. Although often disguised as compassion for victims, the rhetoric of recent years has intensified to a malicious rancor. In late 2012, following the murders at Sandy Hook Elementary in Newtown, Conn., a consortium of actors including Jamie Foxx, Jennifer Aniston, Jessica Alba, Reese Witherspoon, Jeremy Renner and Cameron Diaz appeared in an ad titled “Demand A Plan,” calling for more gun restrictions. Last January, actor Danny Glover baselessly admonished Texas students that the Second Amendment was invented by racists to suppress slave revolts. In July, leading comic Jim Carrey tweeted “[Anyone] who would run out to buy an assault rifle after the Newtown massacre has very little left in their body or soul worth protecting.” Carrey then released a video mocking gun owners and former NRA President Charlton Heston, as well as decrying one of his own films for its violence. (He didn’t say whether or not he’d return the film’s royalties.) In November, “Star Trek: The Next Generation” actor Brent Spiner used Twitter to announce his belief that all gun owners were dangerous. These were just the latest in the ongoing barrage of offensive lectures by Hollywood’s self-appointed social engineers to which we’ve, sadly, grown accustomed. Famed James Bond actor Sean Connery has campaigned for gun bans in Great Britain. These cinematic luminaries are convinced they’re converting their platform into meaningful social change, presuming a fan base accumulated through entertainment gives them license to lecture the rest of society about gun violence. For actors who are accustomed to reciting whatever words someone else puts in their mouths for top dollar, it isn’t hard to become a pawn of the anti-gun industry. And in a meticulously staged world where they get to be the good guys who accomplish things no one else can, it’s an easy philosophy to adopt. But law-abiding gun owners aren’t amused or entertained by professional pretenders uniting to curb our rights. Instead, it’s time to turn the spotlight back on the film industry and highlight its role in desensitizing millions of individuals to acts of violence. A study released by the American Academy of Pediatrics last November surveyed nearly 1,000 of America’s top movies since 1950 to study trends in depictions of violence. Among the study’s key findings, researchers found that overall movie violence has doubled since 1950, with incidents of gunplay in PG-13 movies—which account for half of the top-grossing film revenues—having tripled since 1985, outpacing even R-rated films. But for an industry that spends its time (on and off the clock) arguing against gun ownership, Hollywood isn’t exactly blazing a trail to peace and pacifism. Instead, combat and conflict are the silver screen’s bread and butter. Hollywood doesn’t just glorify a culture of violence—it thrives on it. TV violence fares no better. Another report from 2007 indicated televised violence overall has increased 75 percent since 1998. Similarly, a report from the Harvard School of Public Health in 2004 showed an increase in the amount of violence portrayed on television from 1992 to 2003, and an increasing leniency from ratings committees. Do as they say … not as they do. Starring in “Taken,” a film about a retired CIA operative who revives his training to rescue his kidnapped daughter, prompted the film’s star Liam Neeson to re-evaluate his views. Of course, Hollywood has also produced its share of actors who have no hypocritical standards tainting their image. Among them are Chuck Norris and Tom Selleck, along with the immortal greats like Ronald Reagan and former NRA President Charlton Heston. Needless to say, not all actors are reflexively anti-gun, and more nuanced views on firearms have appeared in quotes and tweets that get picked up by the media. Examples have come from the likes of Jennifer Lawrence, Johnny Depp, James Earl Jones, Ice-T, Katee Sackhoff and Bruce Willis, among others. Hollywood has always been a bag of mixed tricks. Guns in media aren’t always a bad thing, and portrayals of violence can have a legitimate place in the arts. But to romanticize misuse of firearms before walking off set to denounce them—while surrounded by armed guards and gated compounds—is hardly the spoonful of sugar to make the desired “medicine” go down.